Latest figures show demand for goods made in the Northern Powerhouse has grown by 3.5% over the last year – over 16% since 2010. Steady year-on-year and quarter-on-quarter growth in exports from the Northern Powerhouse shows the strength of the Northern economy, says the Ministry of Housing, Communities and Logal Government. The combined value of all goods in quarter two 2018 was £14.9bn, £2.1bn more than the same time in 2010 and the value of goods on the quarter in 2018 rose from £14.5bn in quarter one to £14.9bn in quarter two. 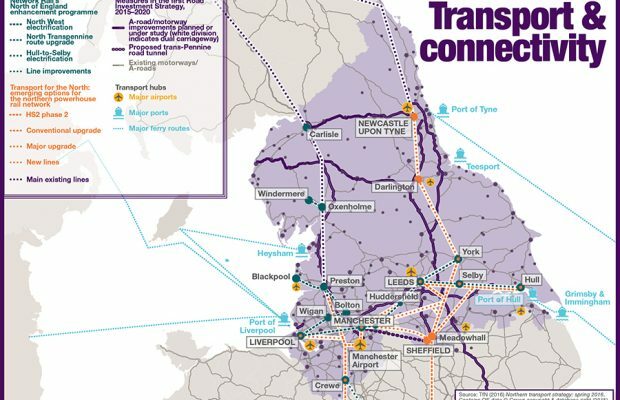 Machinery and transport, chemicals and manufactured goods are the biggest exports from the Northern Powerhouse regions – worth a combined total of £11.2bn. Figures from Her Majesty’s Revenue & Customs (HMRC) show the European Union is the biggest destination for Northern exports, followed by Asia & Oceania.